The chances are that you have put a great deal of energy into making your HVAC business a success. It is your bread and butter for the present and the future, and perhaps you are concerned about how to grow your HVAC business over the long term. Competition is constantly on the prowl to pull business in their direction. It is the nature of the beast in a competitive marketplace. That is why you should consider additional steps to grow larger, stronger, and more profitable. All that starts with marketing strategies to retain current customers and with generating leads for new customers. Generating long-term company loyalty with existing customers will do more to enhance your future bottom line than any other promotional strategy. Getting a customer to give you a try will bring in revenue right now, but will those same customers come back time and again? Maintaining a familiar customer relationship through continual communication does more for retention than any other technique. One option might be to alert your customer to the value of long-term maintenance agreements. Creating the right blend of a discounted but regular maintenance schedule and combining it with quality service lets your customer know that you have their overall interest at heart. 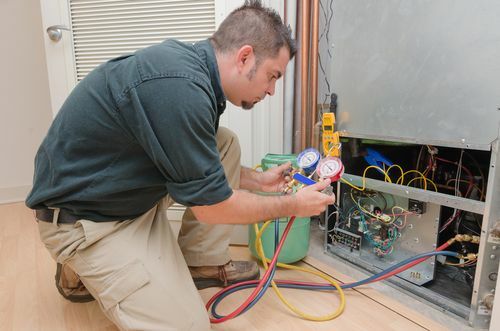 After completing a major install of a new HVAC system, you may decide on sending other residents within the service area a mailer or other alert about the services you provide. This is especially helpful if a previous customer in the area has provided a testimonial as to their satisfaction with the services they received. Retaining a regular customer base will generate tens of thousands of dollars more in long-term revenue and continued cash flow than finding new customers alone. Using direct marketing, customer retention strategies, sales and marketing strategies, referral programs, and rewards has the potential to generate up to $42,700 in revenues from one customer over a 30 year period. This infographic illustrates the Lifetime Value of HVAC Customers. Depending on how many customers are in your database, implementing an intelligent database marketing program may be your best bet. For more information about how to grow your HVAC business with customer retention and lead generation marketing, contact us today at Continuity Programs, Inc.